Join us for a life-changing adventure through the diverse and friendly countries of Cambodia, Indonesia, Malaysia and Thailand. Develop your students’ global perspective and leadership skills through outdoor activities and cultural immersion. 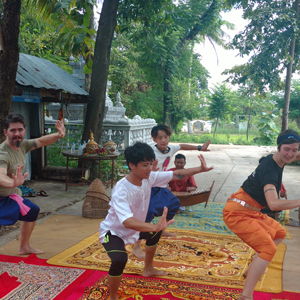 Our Southeast Asia Programs foster understanding for other cultures, sustainable travel practices and awareness of development issues. Students leave our program with a deepened sense of their identity, passion and purpose. The Yogyakarta Urban Exploration is themed around the epic Ramayana, a Sanskrit epic poem that plays an important role in the history and culture across South and Southeast Asia. Ramayana explores human existence, values and relationships. The program kicks off with a showing of Ramayana ballet overlooking the UNESCO World Heritage Site Prambanan, an ancient Hindu temple. 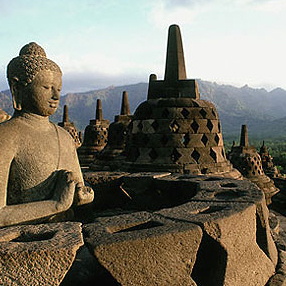 In the following days, students will embark on an urban exploration, visiting ancient temples and natural parks, as well as the old city of Yogyakarta. The students be exposed to a wealth of history, tradition, arts, culture and language. The program allows them to develop their leadership skills and overcome challenges, while learning about Yogyakarta and its history. The Gopeng Expedition is themed around the elements of Earth, Wind and Water. To understand the Water element, students will explore Sungai Kampar river. 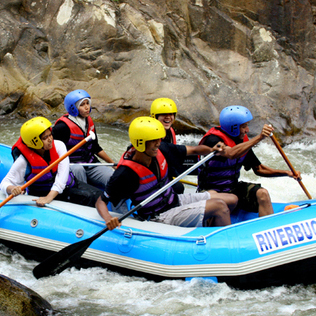 They will develop leadership and teamwork skills, while experience whitewater rafting. Students will participate in a village heritage walk to appreciate the Earth element. They will connect with the local people, and explore local customs, arts and food. To understand the Wind element, students will be challenged to take a high ropes course at Nomad Adventure’s Mountain School. Students will expand their personal limits in an exhilarating and safe setting. 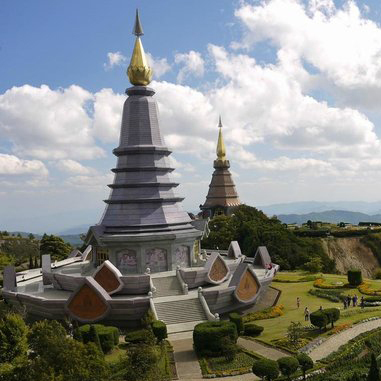 Focused on developing students’ personal identity and roles within communities, this program includes rock climbing, trekking, an adventure race through the old city of Chiang Mai and connecting with local charities. Rock climbing and trekking enables students to challenge their comfort zone, as well as teamwork dynamics. The adventure race encourages further team building, as well as deeper insight into Thai culture. Visits and interaction with local charities provide students with tangible examples of how local people are addressing development issues in Chiang Mai. The program explores community development by learning from local organizations working with local people. Students also connect with a performing arts school focused on youth empowerment. This program has been designed to engage students to think critically about the world they live in.